All of the chairs in the garden were vacant. Can’t you move your chair in a bit? This chair is full high. As it gets older, the chair becomes less stable. Let’s change the arrangement of the chairs. Have you ever noticed the chairs you sit on in cafes and restaurants? I lowered my bottom gingerly into a chair. Could you leave a little more space between the chairs? He moved his chair nearer to the table. The chair is too high for my feet to reach the floor. Most people don’t pay attention to the chairs they use. He aligned the chairs along the wall. When I sit or get up from the chair, my hip bone hurts. 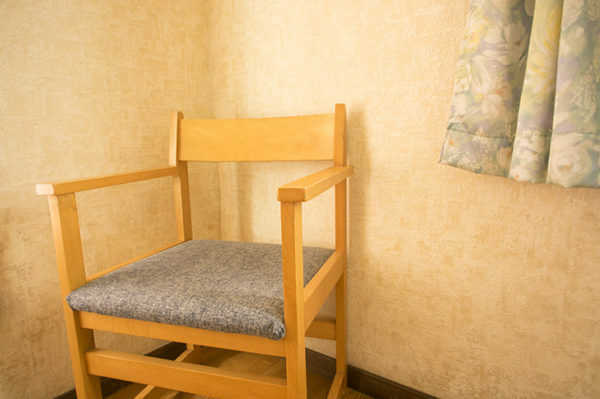 There are several reasons for the chair’s enduring popularity. I laughed till I nearly fell off my chair. Maki adjusted the chair to her height. This chair is cleverly designed with only a few pieces of wood. This type of chair seems to improve as it gets older. You’ll damage the floor if you drag your chair like that! I think I broke my right little toe when I hit it on the corner of a chair.